Description: This black beauty is our future blue and tan producer. She is solid black and carries blue and black and tan. 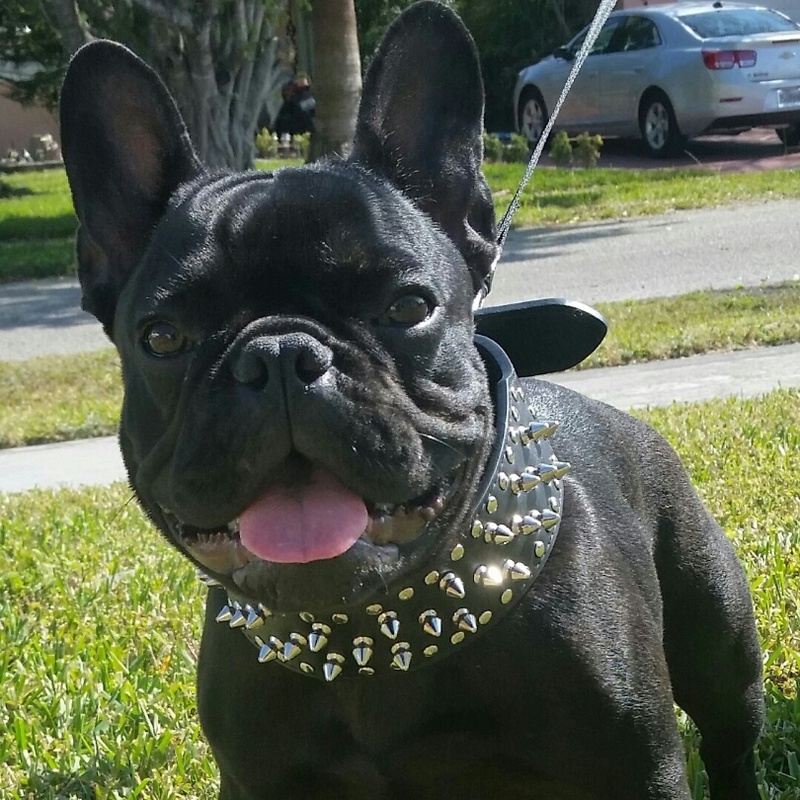 Limo is a well structured dog with great disposition. Description: Beautiful blue pied female with a short and compact body. 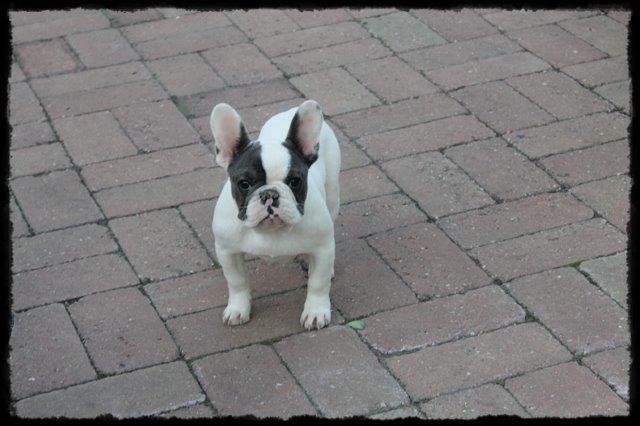 Sage is the perfect pet companion or a nice puppy to start your breeding program. 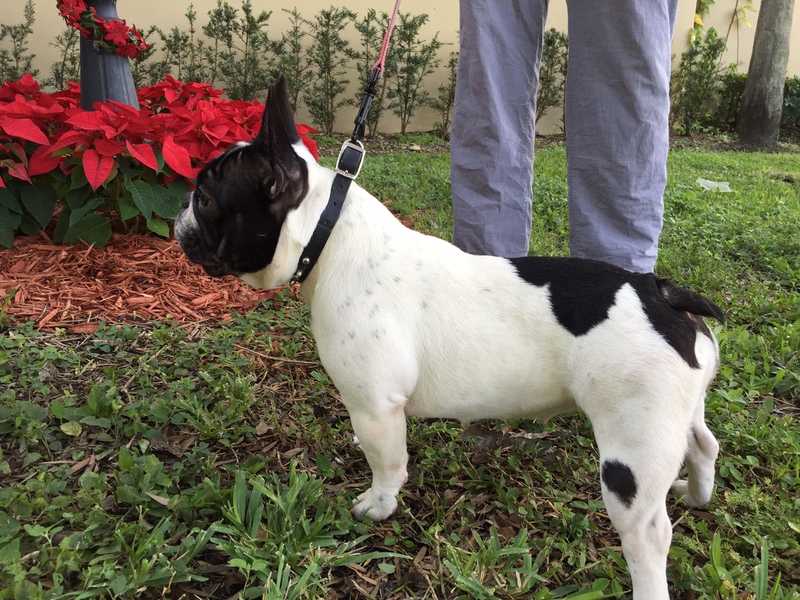 Description: Legacy is another one of our young and upcoming female pups. She has a very nice structure and is the gateway to producing some nice chocolate puppies. Look out for puppies from Legacy early next year. 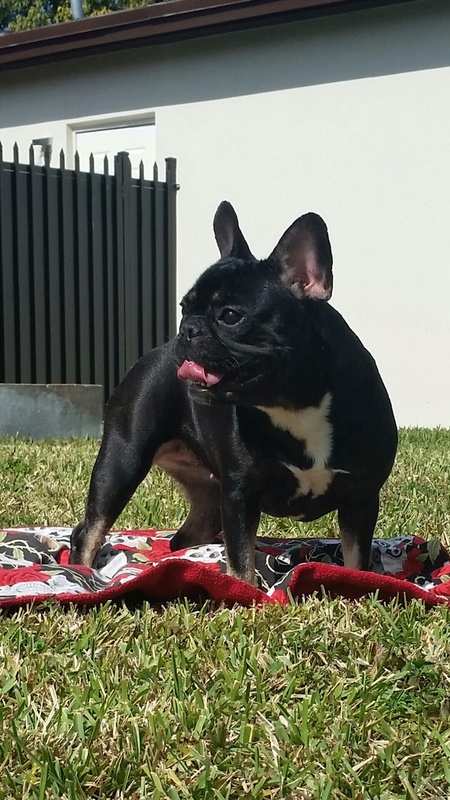 Description: Our Pride and joy Karma is a black and tan beauty. 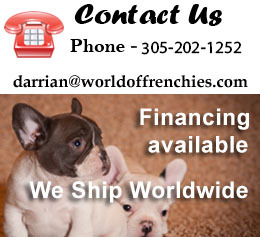 She is our up and coming queen here at World of Frenchies. She is perfect in every way and will produce some top quality pups.